Donna is a writer, filmmaker, actress and workshop facilitator dedicated to offering joy, transformation and enlightenment through all of her endeavors. In addition to teaching with Tom since since the 1990’s, she has performed off-broadway and in films. 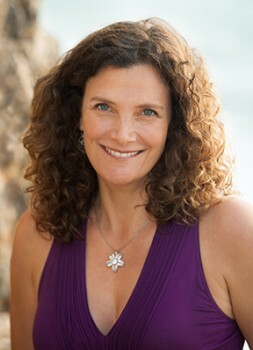 She created the Hawaiian Healing Intention Cards, wrote, directed and produced the Sacred Lomi DVDs and is a member of the Writers Guild of America. Donna’s training joyfully bridges two different worlds; traditional theater, screenwriting and filmmaking and the spiritual and healing arts. Her extensive experience in healing-through-visualizations, shamanic journeying, trance dance, ho’oponopono and Lomilomi spans nearly two decades. In the late 1990’s Donna co-founded Sacred Lomi® with Tom Cochran, and they have been teaching nationwide and on the islands of Hawaii ever since. Donna has a book on Sacred Lomi® in the works, as well as an up-and-coming film project on Gender Identity. Donna is deeply passionate about inspiring individuals to shine in all of their uniqueness and to experience their life as the perfect journey for their soul’s growth.